Governor Branstad released a revised fiscal year 2018 budget this week that is 2.3 percent smaller than the budget he proposed in January. His new $7.283 billion budget will fully repay $131.1 million used from the rainy-day fund to balance this year’s budget, maintains K-12 education spending and does not reduce the number of state employees or close state institutions. Compared to his original budget the reductions would affect funding for health and human services, secondary education, and both the judicial and legislative branches. According to O. Kay Henderson, from Radio Iowa, some legislators would prefer to see an even more cautious approach to spending. Senator Charles Schneider, a Republican from West Des Moines, leads the senate committee that writes state budget plans. He said with uncertainty about state tax collections, it’s “smart” for legislators to consider cutting more deeply than Branstad recommends — to ensure lawmakers aren’t forced to make another round of budget cuts in early 2018. Iowans for Tax Relief has said many times, this year’s budget revisions are not the result of decreased revenue. Revenue has continued to grow, just not as much as projected. The problem is too much spending combined with the inability to correctly predict revenue. It is good to hear fiscally sound statements from legislators like Senators Schneider and Feenstra. However, if we are going to remove taxpayer protections in the form of tax credits, tax rates need to be reduced for everyone. How long are we going watch arrows fly by without hitting the target? The investment board for Iowa Public Employees Retirement System (IPERS) lowered the assumed annual rate of return on investments from 7.5 percent to 7.0 percent. The lower rate of return increases the gap between what is paid to IPERS’ retirees and the amount contributed each year. This shortfall is called an unfunded liability and was $5.6 billion in December 2016. Lowering the assumed rate of return will increase that by $1.3 billion for a total unfunded liability of $6.9 billion and leaves IPERS at only 80% funded. Because pension payments to retired state employees are guaranteed, Iowa taxpayers will have to open their checkbooks once again to pay additional taxes to make up for this deficit. According to Gretchen Tegeler of Taxpayers Association of Central Iowa, taxpayers are spending about $400 million each year in debt payments to cover the shortfall for Iowa’s two largest public retirement plans, IPERS and Municipal Fire & Police Retirement System of Iowa (MFPRSI). Tegeler says $400 million represents the equivalent of 5,000 (15 percent) fewer teachers in Iowa, higher property taxes, lower credit ratings, and any number of other impacts on government services. Iowa should be committed to fulfilling commitments with current employees and retirees but we need meaningful pension reform to end this ongoing burden. Retirement plans like IPERS are called defined benefit plans. Monthly benefits paid to retired employees are guaranteed for life even if there has not been enough money set aside to meet all pension obligations. Most private sector businesses offer employees defined contribution retirement plans. Payouts to retirees from these plans are based entirely on what has been contributed and the investment income of the contributions. There isn’t a guaranteed payout when an employee retires so it is impossible to have unfunded liabilities. Pension reform for Iowa’s state employees is necessary for the state to remain financially stable. IPERS and the other public defined benefit retirement systems are a huge liability for Iowa taxpayers. 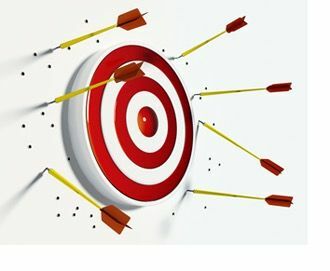 Let’s take away the bow, the arrows, and the target and have state employees, including legislators, participate in fiscally responsible retirement plans like the rest of us. Attend a local forum and let pro-taxpayer legislators know you appreciate efforts to make state government smaller and smarter.